Gabby Logan hosts this special revival of the popular sporting entertainment show as sixteen of Team GB’s medal winning athletes from London 2012 compete for this legendary sporting accolade. Sixteen of London 2012’s British Olympic heroes (eight men, eight women) will compete against their Team GB teammates in a dramatic and thrilling competition, as they vie to be crowned the two best all-round Superstars. The athletes’ versatility and determination will be pushed to the maximum as they participate in eight different disciplines - on the track in the 100 metres and 800 metres, on the field in the javelin, in the pool in a 50 metre swim and testing their archery skills. The sporting contestants will tackle a kayak race and use their cycling skills in a hill climb. Their efforts will culminate in a grand finale featuring the classic Superstars event – the gym tests. In addition, London 2012 Rebecca Adlington will also act as a mentor to all the athletes in the swimming event. She’ll be providing useful tips and guidance on technique, as well as of course encouragement to her Team GB teammates. 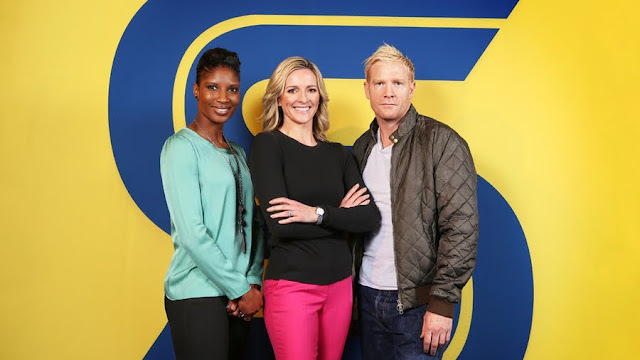 Superstars 2012 will be hosted by Gabby Logan, who - fresh from her success as one of the faces of the BBC’s London 2012 coverage - will oversee the proceedings. Gabby will be following in her father’s footsteps, as her dad, former professional footballer Terry Yorath, also featured on Superstars during the 1970s. She’ll be joined by former Olympians Denise Lewis and Iwan Thomas as pundits, providing their own unique spin on the action. The Superstars 2012 games will be shot in front of an eager crowd at the University of Bath, which boasts state-of-the-art sporting facilities. The grand finale will see the competitors battle in the historic setting of the city’s Assembly Rooms.